This spinner has a pretty little green jade stone set on the spinning ring and, a textured base. Slightly domed for comfort when wearing. 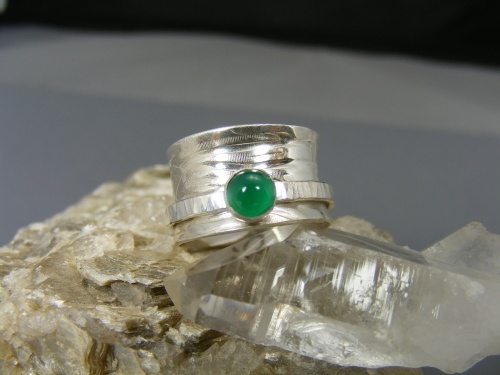 Made to order but, please remember that a wide band needs to be a bit larger than other rings you may wear.